Qasair Rangehoods are Australia’s finest rangehoods, designed and manufactured in Melbourne, Australia. Australians are known to be among the most experimental and innovative home cooks in the world. They are eager to try the latest exotic ingredients and flavours and are using increasingly powerful and more varied cooking equipment and stove tops in their kitchens. Qasair Rangehoods are powerful ventilation systems that allow home cooks to use modern cooking equipment such as high-powered stoves, indoor barbecues and wok burners to cook aromatic dishes such as fish or spicy Asian curries without fear of lingering odours and grease in the residence a day later. If you are interested in any of the following rangehoods to compliment your cooker, please contact AGA Australia. The Argyle rangehoods are premium examples of Australian innovation and design; for clients who are looking for something a little different. The Argyle Range is inspired by modern architectural design. Close work with architects and designers to create these statement piece extractors that are designed to suit the ultra modern residence. Concealed rangehoods are designed to be discreetly hidden away behind the cabinetry allowing clean lines and seamless joinery in the kitchen. 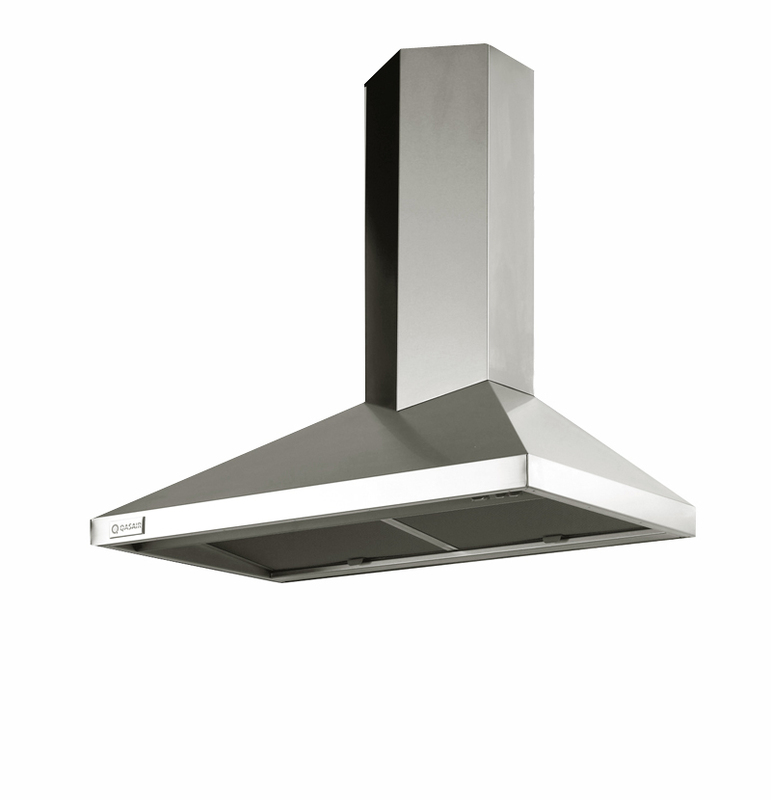 The slide outs and the Fold Away rangehood are again discreet units but extremely effective in function. The Federation Range rangehoods are not only practical but also attractive enough to be the centerpiece of your kitchen. From the more traditionally styled wall-mounted 3-Flare and ceiling mounted 4-Flare, to the compact Compact and Maitland, the Federation Range is manufactured to the highest quality to please the most discerning client. The Gallery Range combines luxurious styling with unequalled performance. 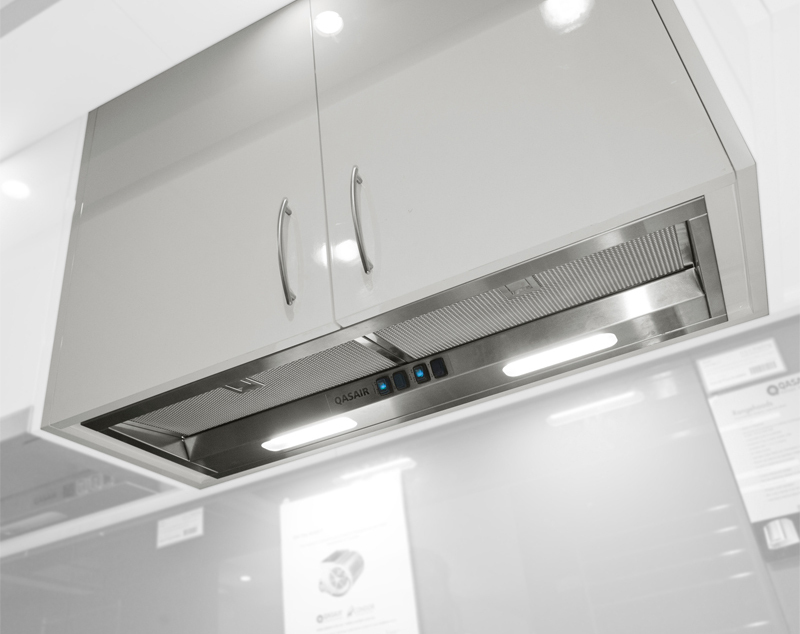 The bespoke ceiling and wall mounted hoods will complement the individual kitchen with an impressive style, whilst the Thermidor, made to be installed inside the ceiling, provides an extremely functional alternative to a visible rangehood. This innovative range is designed to impress. The Heritage Rangehoods give a traditional character to any kitchen. The classic styling of the Heritage Range ensures that these wall-mounted units will flatter the modern kitchen as well as the traditionally styled kitchen. These units are supplied with a flue sized to suit the client’s ceiling height so that there are no unsightly joins in the flue piece. 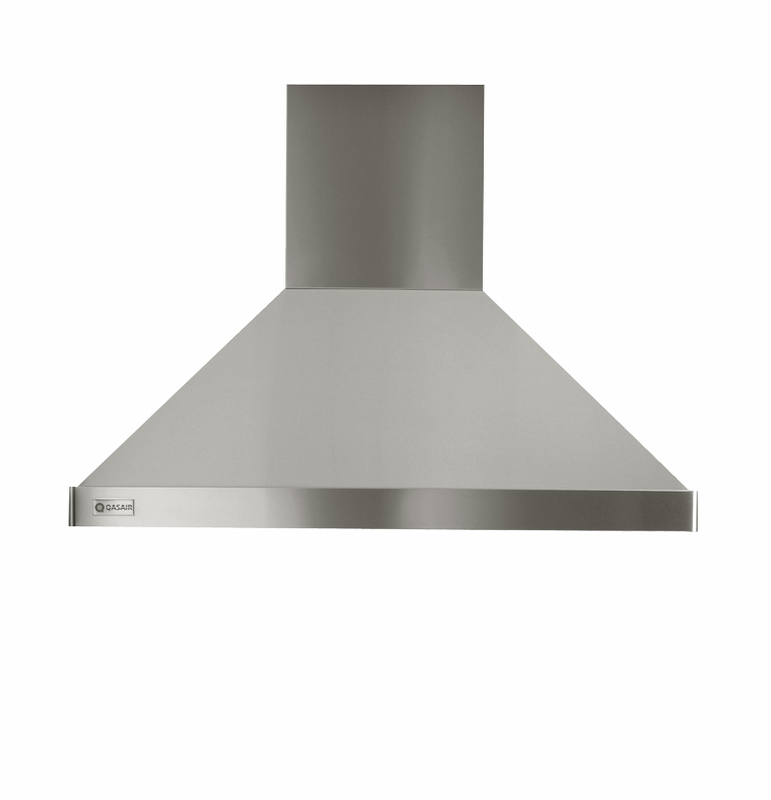 Imperial rangehoods combine powerful air movement with classy design. Featuring elegant wall mounted and ceiling mounted rangehoods, the Imperial Range gives the kitchen a commanding air of stateliness. The exotic Sapphire Rangehoods are made from special sheets of chemically-etched stainless steel rendering colour and texture on the surface of the steel. These exquisite steels are imported from the United Kingdom and Italy and come in six different colours and textures that are used to manufacture the Sapphire Range. These six exquisite steels can be made into any model in the Sapphire range as a standard rangehood, or can be used to make a custom made rangehood. QASAIR specialises in manufacturing bespoke Custom-Made/Special Rangehoods. 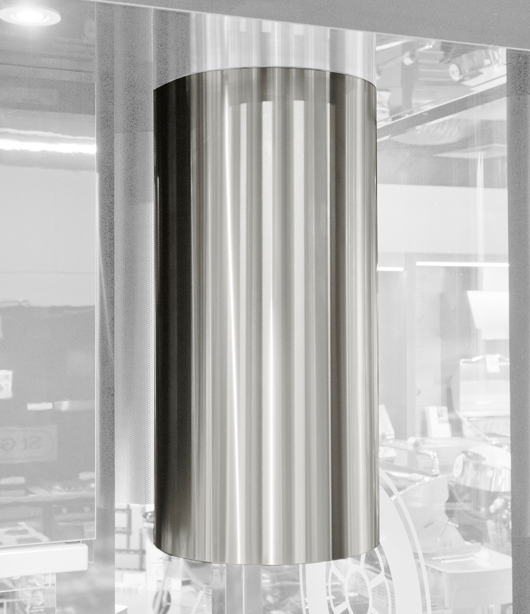 Designed to your specifications and engineered to operate efficiently and quietly. Is there a standard model that catches your eye but doesn’t quite fit into your space? Or does your kitchen require something that is different altogether? 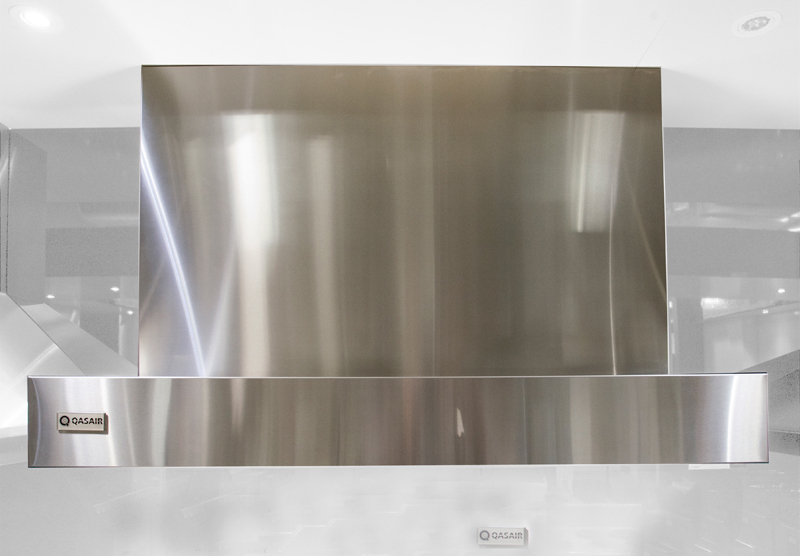 As well as an enormous range of standard models, Qasair alo offers Custom Rangehoods. Custom-made rangehoods are crafted by hand and made individually, especially to your or your client’s specific measurements and requirements. Being manufactured in Australia, we have the unique flexibility to manufacture one-off hoods specifically designed to suit your kitchen or alfresco area. 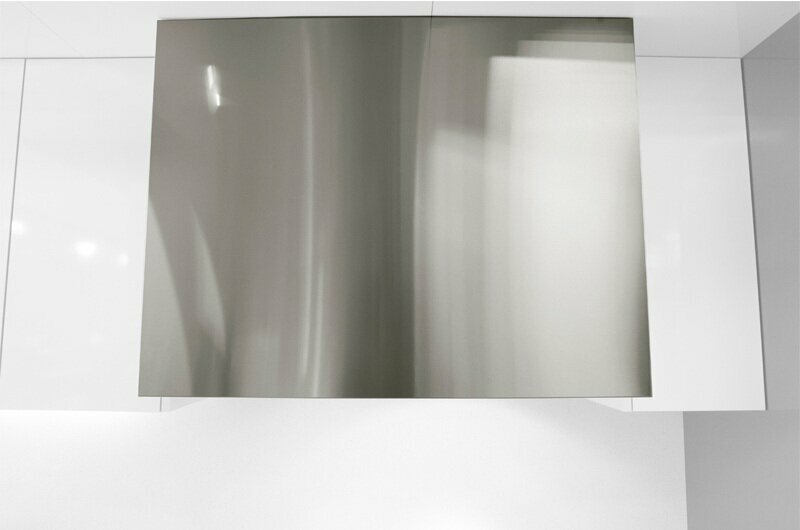 From rangehoods that are slightly different from a standard model, to those that are extraordinary. 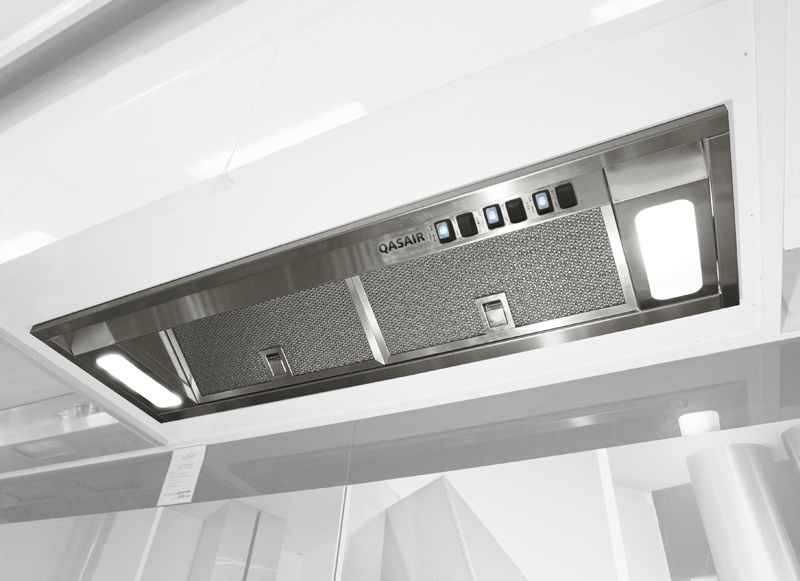 To date, the largest rangehood manufactured is over 6 meters long with 5 motors! Our 40 years of expertise in manufacturing rangehoods is utilised in custom-making a hood that is the right size, shape, material, colour and most importantly, the right functionality for your kitchen and cooktop. 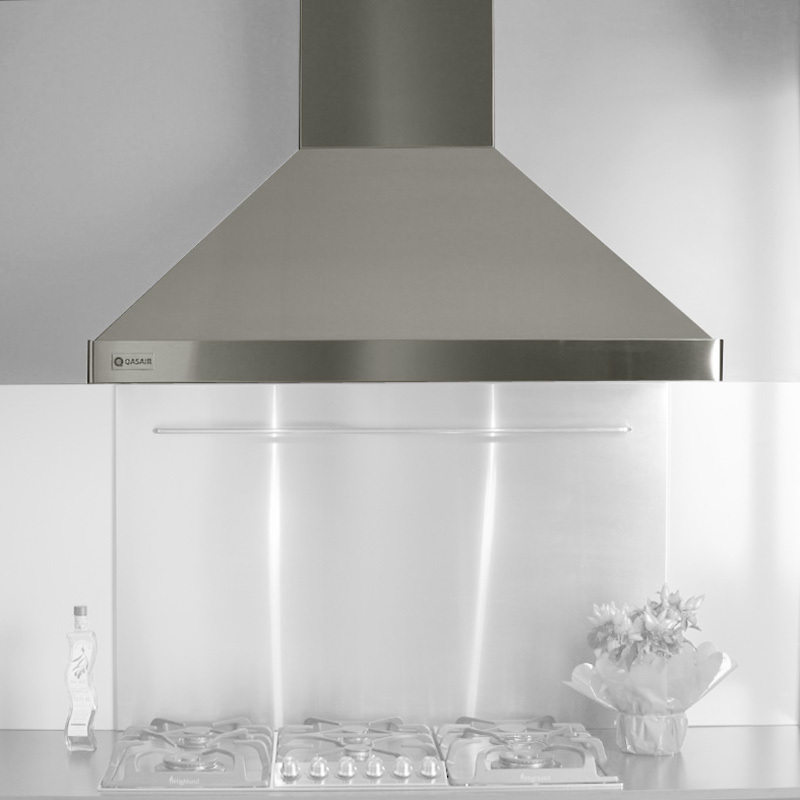 Custom rangehoods can be made from type 304 stainless steel, marine grade stainless steel, Sapphire steel, copper and a number of other types of stainless steels. If you are interested in the possibilities of a custom designed rangehood, please speak with AGA Australia. 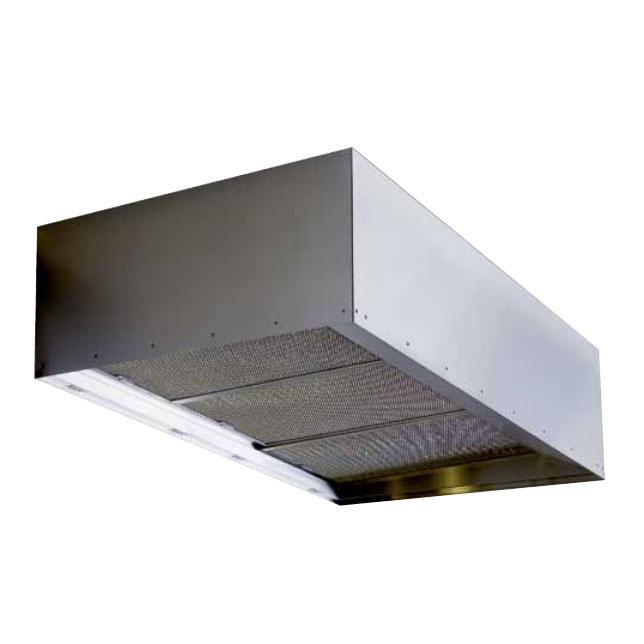 Equipped with 4-pole fans from Germany, made exclusively for Condari, Qasair Rangehoods are committed to manufacturing the highest quality and most effective extractors on the Australian market. All Qasair extractors fans have an air movement of 900m3/h per motor. Over the years, Condari has invested much time and resources into reducing noise levels to a minimum. 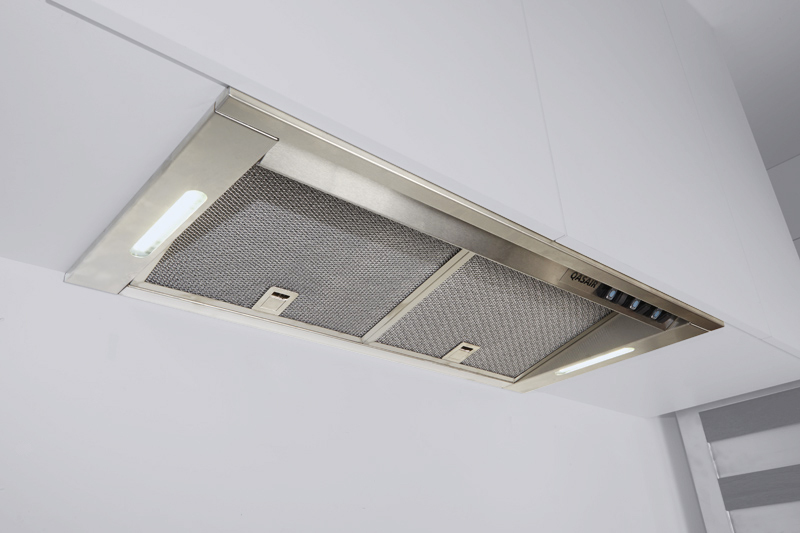 As well as an extremely quiet all metal fan, most Qasair Rangehoods are insulated with fibre glass matting which acts as a sound deadening barrier. The decibel rating on the hoods is between 36.5 to 55 decibels which is extremely quiet. Energy saving LED strip lighting. Some models are equipped with a nightlight. Some rangehoods can be powerkoted in any Dulux Powdercoat colour. All Qasair Indoor Rangehoods come with a 3 year manufacturers’ warranty which is extended to a total of 5 years when an Approved Installer installs the rangehood.